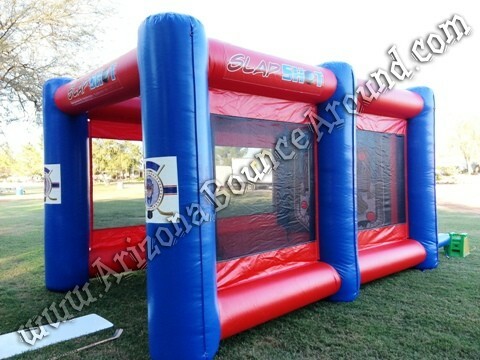 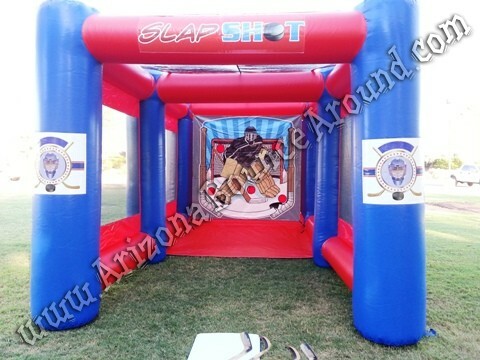 Our Slap Shot Hockey game is a beautiful Inflatable hockey arena ready for some fast slap shots to the goalie backdrop. 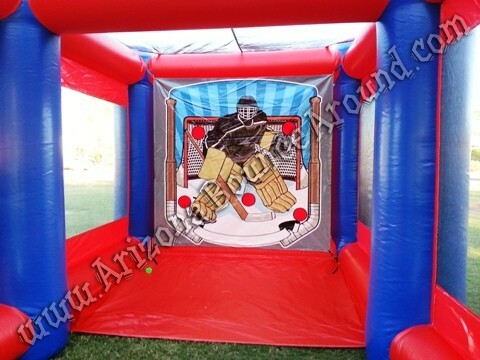 This hockey game comes complete with 2 kids hockey sticks (one left hand and 1 right hand) 2 adult hockey sticks (one left hand and 1 right hand) 2 bright green hockey pucks and the inflatable hockey arena. 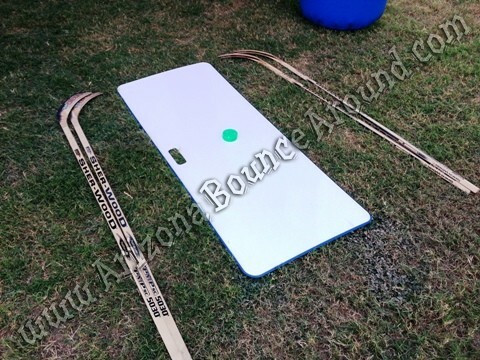 This Ice Hockey game is 18 feet deep front to back plus the space needed to swing the stick so we recommend at least 30 feet of space to be safe. 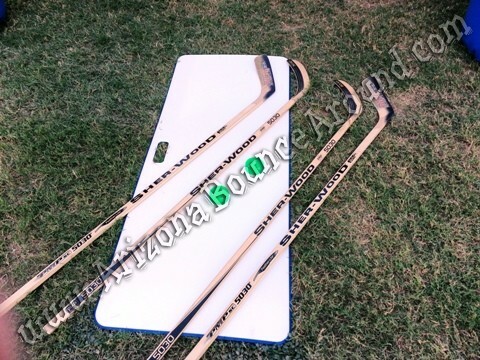 You may want to rent 3 fence panels for added safety around the players swinging the sticks. 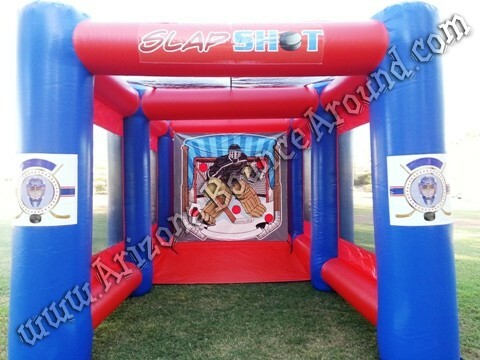 If you want the real ice hockey experience then rent some of our synthetic ice skating panels with real ice skates for the perfect hockey challange right at your party or event. 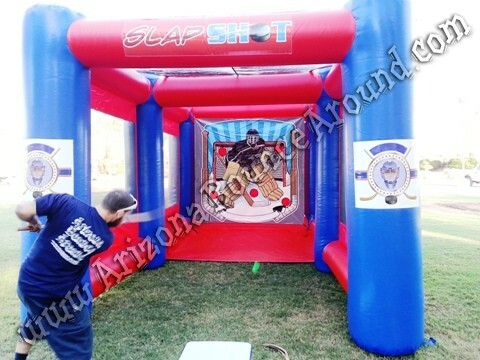 We are a full service sports game rental company in Denver serving all of Colorado since 2002. 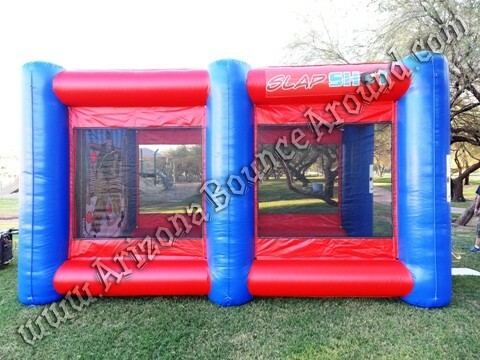 We have the best selection of quality sports game rentals in CO so call, click or come by today to start planning your next sports party or event.